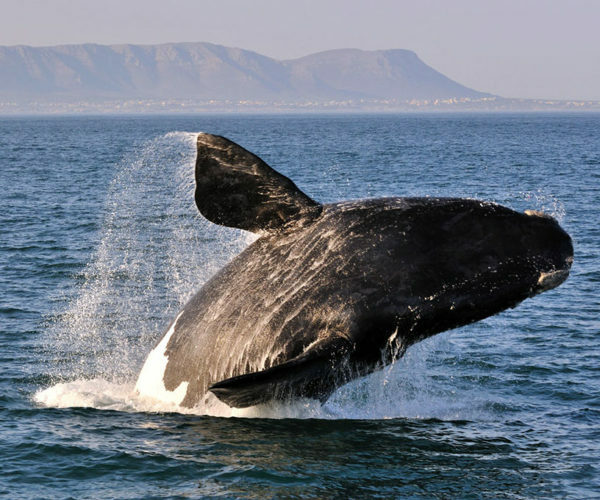 Hermanus is a small, picturesque town about 2 hours’ scenic drive from Cape Town. It’s here, in its safe bay, the Northern Right whales come to breed. You can choose to watch the whales from the rocks on the coast or you can board a boat and get real close. Whatever you choose, it will be a meeting you’ll hold dear forever. Part of the charm of this trip is the drive to Hermanus: through Gordon’s Bay, Pringle Bay and Betty’s Bay where we will stop to stretch legs in the beautiful Harold Potter Botancial Garden. On the way back we will take a different route past the fruit-growing valley of Elgin and over the spectacular Sir Lowry’s Pass. Entrance to Harold Potter Botanical Garden.